Irvine has long been recognized as a national leader in city planning and innovation. Unfortunately, Irvine has failed to properly plan for the tremendous increase in traffic caused by the city’s explosive recent growth. As a result, Irvine residents have been forced to contend with unprecedented traffic congestion and less safe streets and roads. Irvine’s traffic jams are not only frustrating, they are also a major contributor to increased air pollution, and that’s bad not just for our climate, but our health too. My plan offers concrete and achievable recommendations to unsnarl our roads and make our city a better place to live, work and raise a family. IRVINE, CA Irvine Community Services Commissioner and City Council candidate Melissa Fox announced today a Traffic and Transportation Plan for the City of Irvine. 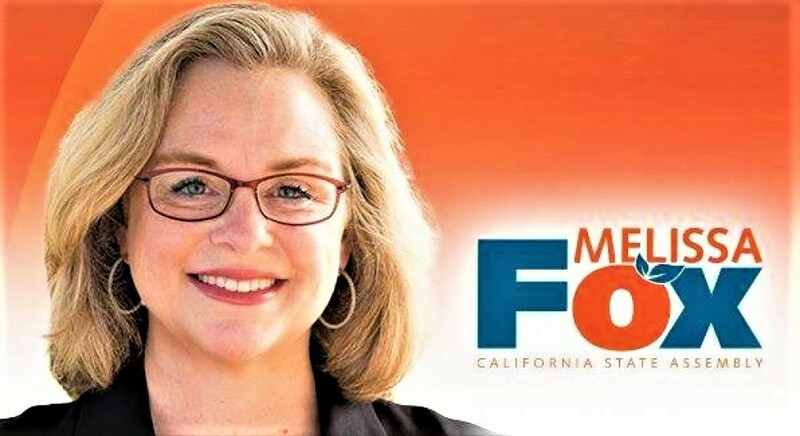 Fox said that her plan is designed to reduce Irvine’s traffic congestion both in the long and short term, while providing more transportation choices for Irvine’s residents and commuters. The Fox Plan is intended to reduce travel time, reduce noise, improve safety, improve resident access to employment and entertainment centers, improve parking and reduce emissions. – Provide immediate relief for Irvine commuters by speeding up road and street repairs and prioritizing improvement projects throughout the city. – Ensure Irvine residents and commuters have access to multiple safe and efficient transportation choices, including automobiles, bicycling, walking, iShuttle, ride-sharing, streetcar, and student transportation to Irvine’s schools. – Restore Irvine’s village planning model requiring that housing developments include grocery stores, shopping, entertainment and childcare within one mile. – Aggressively push for Irvine’s fair share of transportation funds from local, state, and federal agencies and seek out grants for fuel efficient and clean transportation projects. The Fox Plan is intended to be brought to the City Council for comment and consideration. This entry was posted in Uncategorized and tagged air pollution, automobiles, bicycling, City of Irvine, Commissioner Melissa Fox, Fox Irvine traffic plan, Fox plan, Fox transportation choice plan, Irvine, Irvine air pollution, Irvine business, Irvine City Council, Irvine City Council elections, Irvine Commissioner Melissa Fox, Irvine congestion, Irvine crowding, Irvine density, Irvine development, Irvine education, Irvine growth, Irvine housing, Irvine Master Plan, Irvine open space, Irvine over-crowding, Irvine overcrowding, Irvine overdevelopment, Irvine politics, Irvine public safety, Irvine quality of life, Irvine schools, Irvine traffic, Irvine traffic congestion, Irvine Traffic Plan, Irvine villages, iShuttle, Melissa Fox, Melissa Fox attorney, Melissa Fox for Irvine City Council, Melissa Fox law, melissafoxlaw.com, melissajoifox, Orange County housing, ride-sharing, transportation choice Irvine, votemelissafox, votemelissafox.com, walking. Bookmark the permalink. ← 2/11 Marines Trunk or Treat Volunteers Needed!